Yo-Yo's have been a favorite pastime toy for many generations! 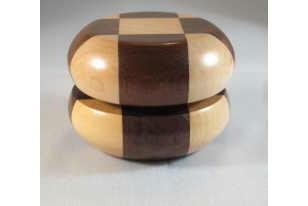 This Multi-Wood Yo Yo is handcrafted from walnut/maple wood with a beautiful smooth finish! Made in Holmes County, Ohio. 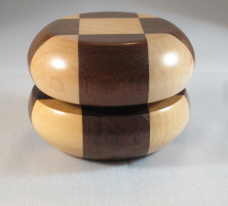 Measures 2 1/4 inches across.